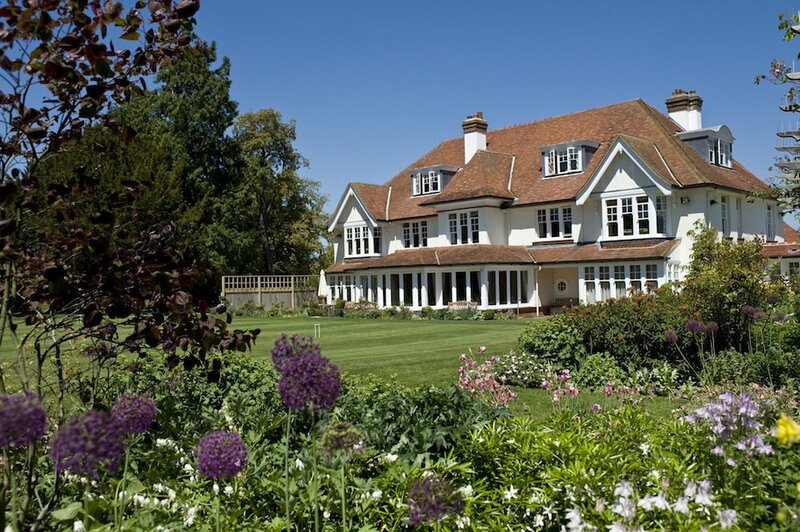 Check into Park House Hotel & Spa near Midhurst and relax amid South Downs scenery. 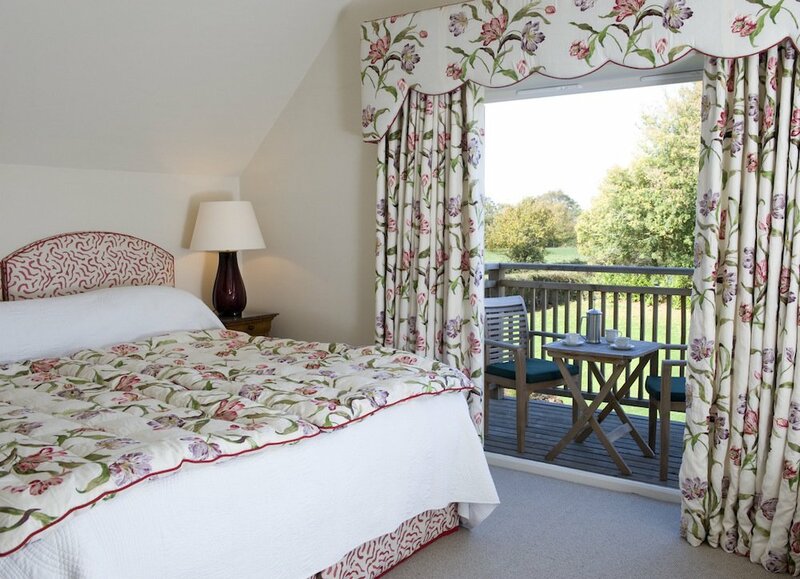 There are twelve en-suite bedrooms in the main house, plus six-, two- and one-bedroom cottages to choose from. The look is traditional country house but with a fresh palette. 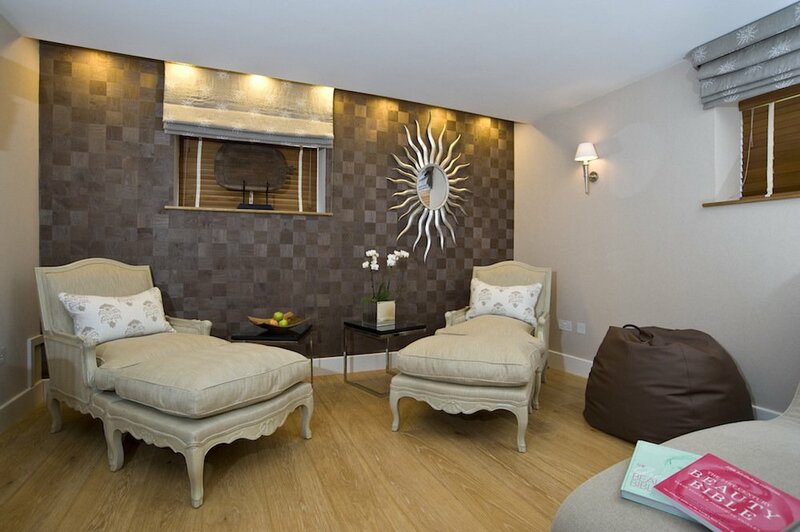 24-hour rooms service, handmade biscuits and complimentary wifi will help make you feel at home. Want to bring your four-legged friend? Ask about the garden rooms that allow dogs to stay with you. If you can drag yourself from cushioned comfort, use the tennis courts, putting green, six hole golf course or croquet lawn. 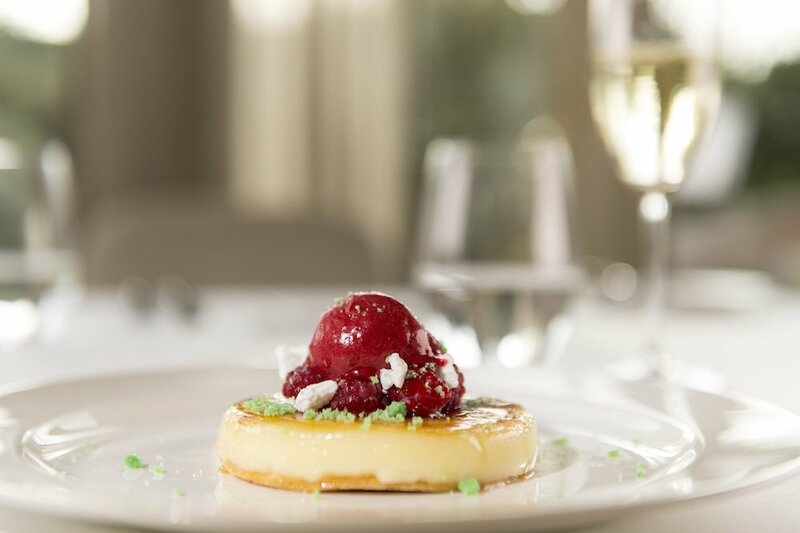 The restaurant is open to non-residents as well as hotel guests and you can enjoy a traditional afternoon tea – on the terraces in summer months. 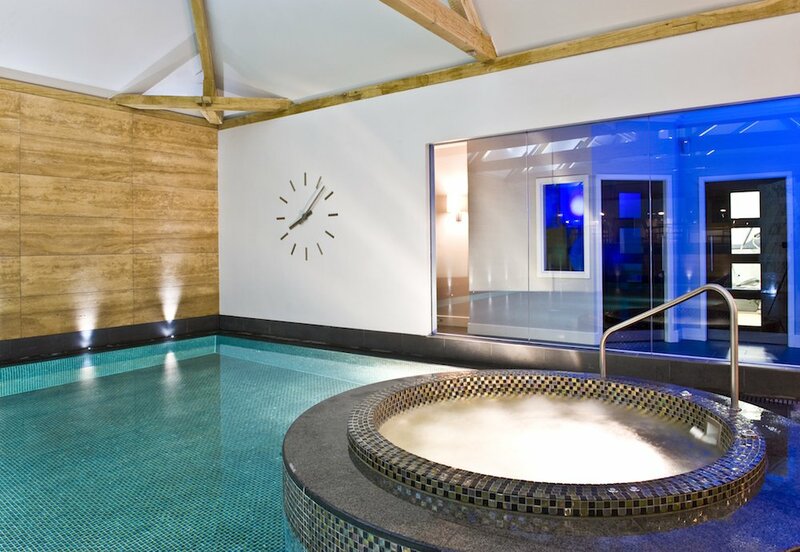 The award-winning spa boasts a 15-metre mother-of-pearl inlaid pool, sauna, steam room and Jacuzzi. 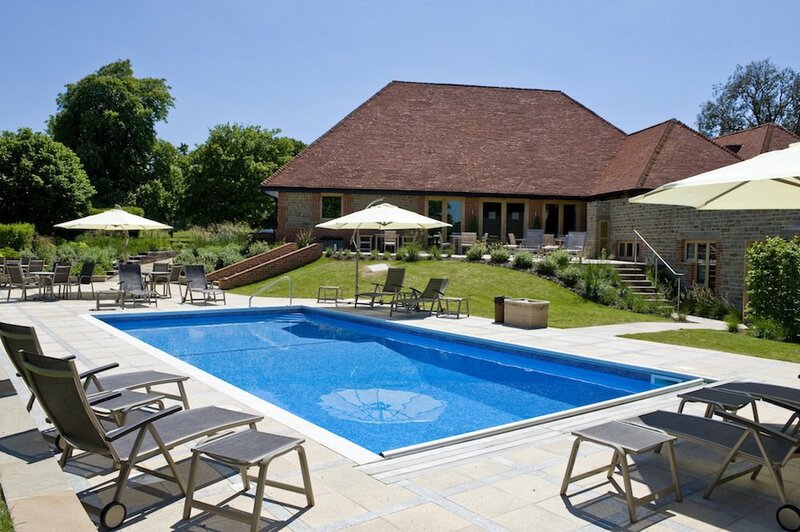 When it’s warm you can enjoy the outdoor heated pool (available May – September) where there’s even a handy bar. Enticing packages include the Sunset Experience with a 45 minute treatment, champagne afternoon tea or two-course dinner for £100. The beamed barn is available for private parties and meetings and the whole hotel – with its total 21 rooms – is intimate enough to be hired exclusively, for a wedding or other celebration. 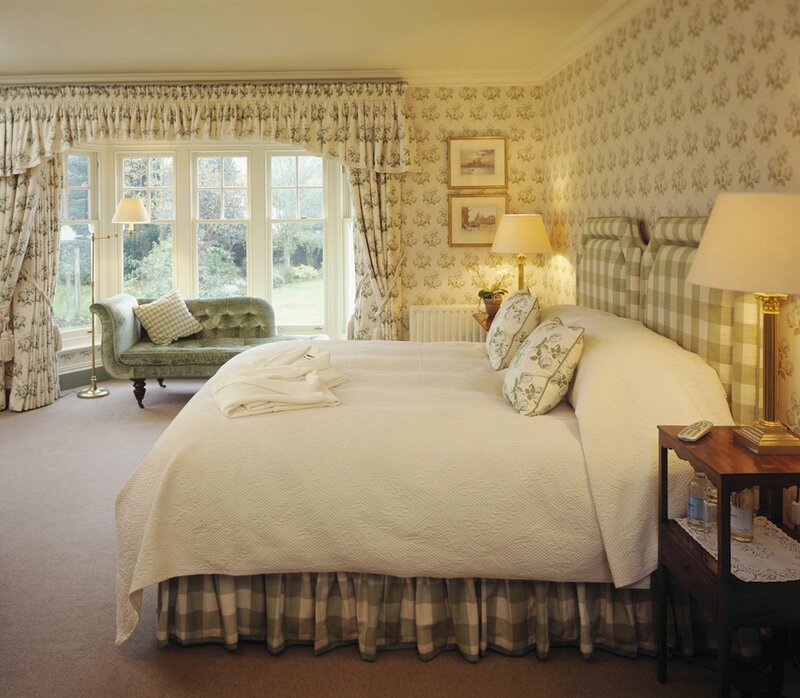 Rooms from £130, spa days from £90, afternoon tea £25, dinner: three courses £45.